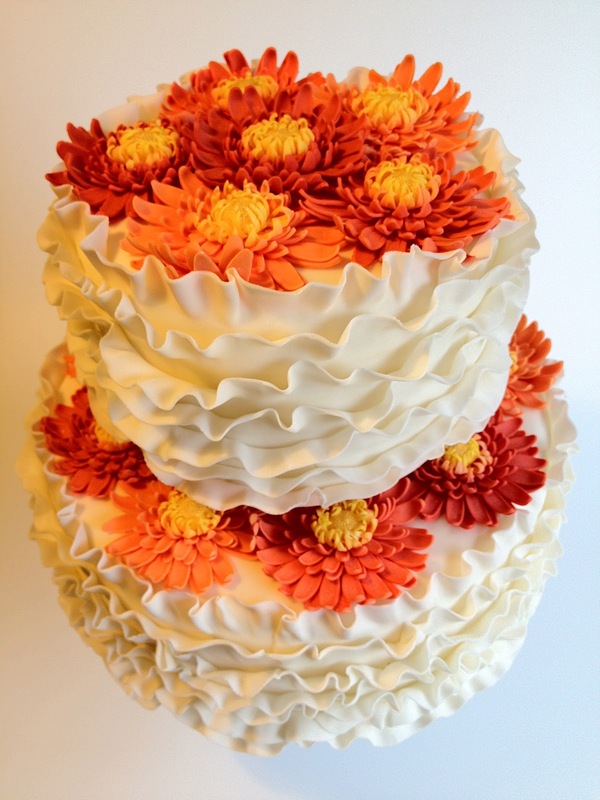 This bride wanted and orange and ivory wedding cake to go with her colour scheme and gerbera daisy bridal bouquet. 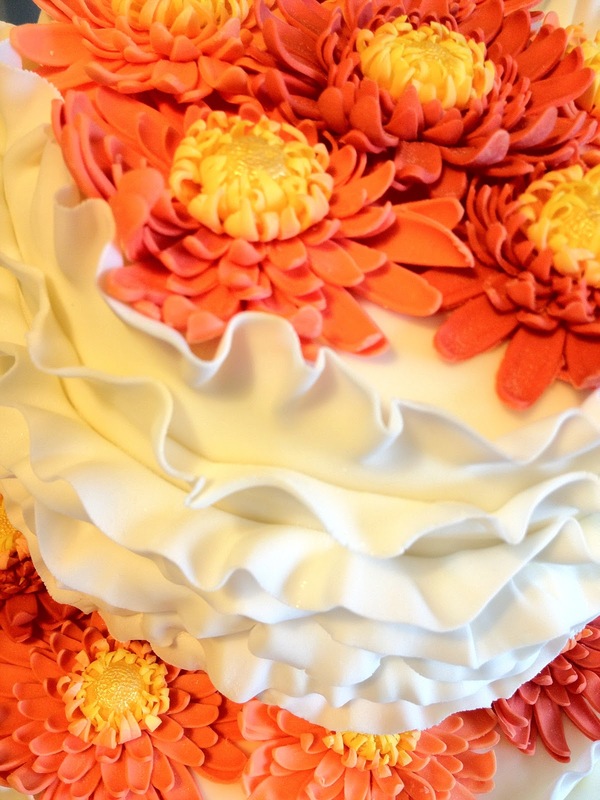 She didn't want a traditional cake, but rather something a little bit different. 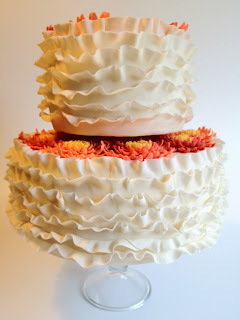 I wanted to try out a new technique - ruffles. 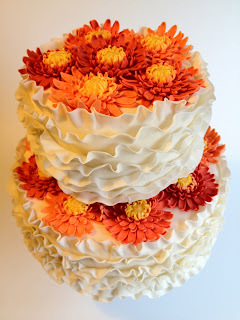 The bottom tier is 12" and the top is 8", carrot cake with cream cheese icing. The ruffles and flowers are all 100% fondant.